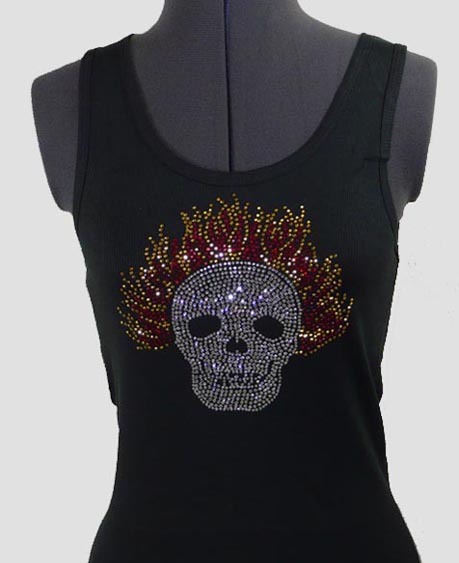 Flaming Skull. This Clear Rhinestone Skull features flames of Red and Gold Rhinestones. It screams Bling!